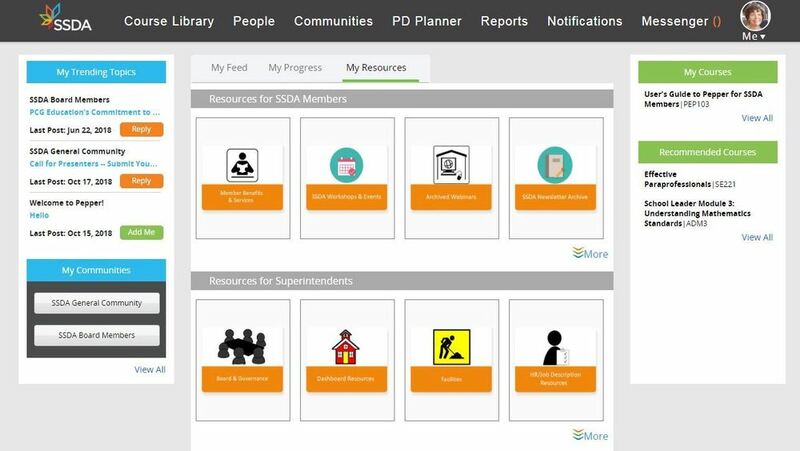 SSDA is pleased to present a new, easy-to-use, web-based portal for all SSDA District and COE members. Quickly access a variety of valuable digital resources, courses, and workshops in a single place – and at no additional cost. Looking for sample contracts and job descriptions? How about resources on marketing or facilities? Or maybe you just need a place to ask questions and advice from colleagues? Find those and much more, right at your fingertips! Click here to access your private, personal account. You can also access this same link on SSDA's website, SSDA.org, through the Login tab. Once there, you will be asked to type in your school email to verify membership and take 5 minutes to build a profile to share with the community. Please feel free to contact us with any questions or concerns at corrie@ssda.org or (916) 662-7213.